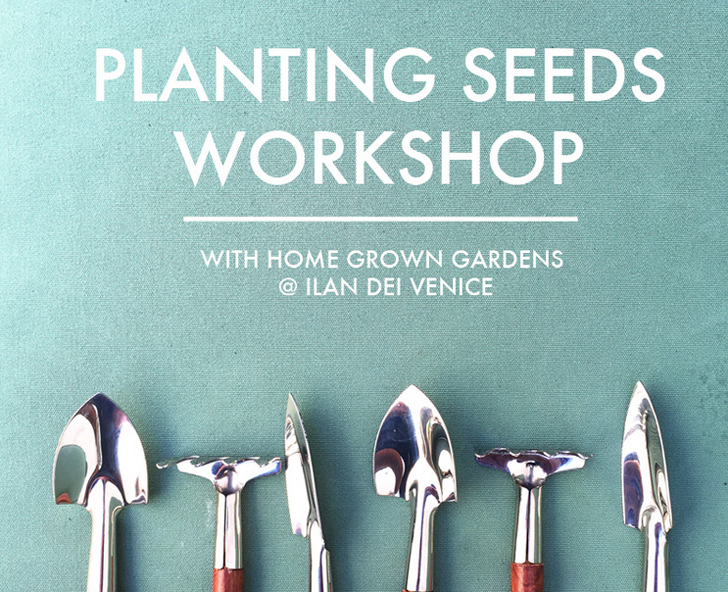 Outdoor living company Ilan Dei Venice is hosting a seed-planting workshop in Venice, California, on March 22nd. From 2-4 pm, special guests Matthew Van Diepen and Sarah Klein of Home Grown Gardens LA will be offering instruction on how to build and feed healthy soils, how to grow plants in pots versus in the ground, which seeds to choose for different seasons, and much more. There will also be talk about the importance of growing food locally, and how doing so benefits the community and local environment as well as individual health and wellbeing. Attendees will be able to get their hands dirty and take home freshly potted seedlings for their own gardens. This workshop is FREE, but there is a $10 charge for materials. RSVP to [email protected] soon, as space is limited and will fill up quickly.